Handheld wireless coating thickness measurement instrument with Bluetooth that turns your smartphone or tablet into a coating thickness measurement tool. 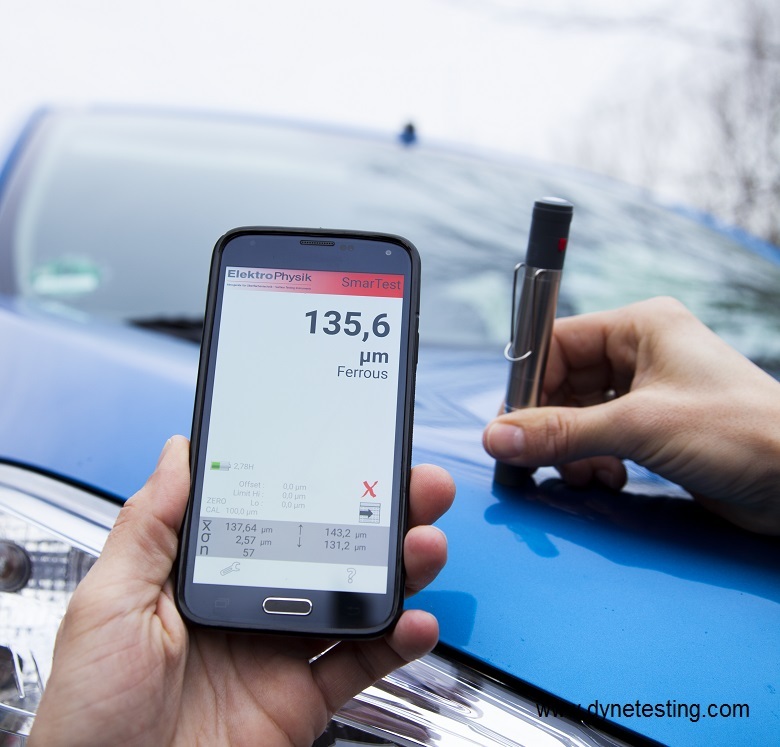 SmarTest is an intelligent wireless sensor for non-destructive coating thickness measurement and relays sensor data via Bluetooth to your tablet, smart phone or to the coating thickness gauge MiniTest 745. The radio sensor SmarTest is 16 mm in diameter, 125 mm in length and weighs just 48g. The sensor is similar in size to a ballpoint pen so you can carry it in your top pocket along with your smartphone. The standard scope of supply comes with the F 2.6 (Ferrous) or FN 2.6 (Non-Ferrous) sensor, which has been specially optimised for measuring on thin auto body sheets and can be used for a sheet thickness downwards of 0.3 mm / 12 mils. You can connect any SIDSP sensor to SmarTest and cover a wide range of coating thickness measurement tasks.